This salad makes so much sense. It takes literally 5 minutes to put together. Your friends will be impressed. Ive been daydreaming about Morocco, Turkey, India and Greece lately, so these recipes are a manifestation of that. Wear a silk caftan while you’re making this and shuffle around the kitchen listening to Eddie Money. You’ll be in a good space. In a large bowl, combine onion and lime juice. Let it sit for a few minutes then add watermelon. 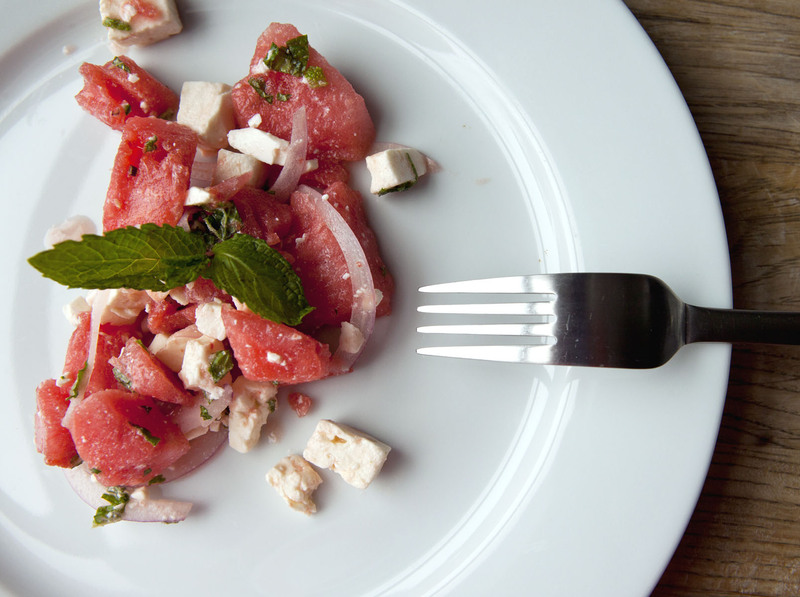 Gently fold in the feta, sprinkle with mint, and season to taste with freshly ground black pepper.